The James L. Goodwin Conservation Center is sustained through a public/private partnership between the Connecticut Department of Energy & Environmental Protection (CT DEEP) and the Connecticut Forest & Park Association (CFPA). It serves as a conservation education field site in eastern Connecticut with a mission to provide forestry, wildlife, and general conservation education to youth and adults. 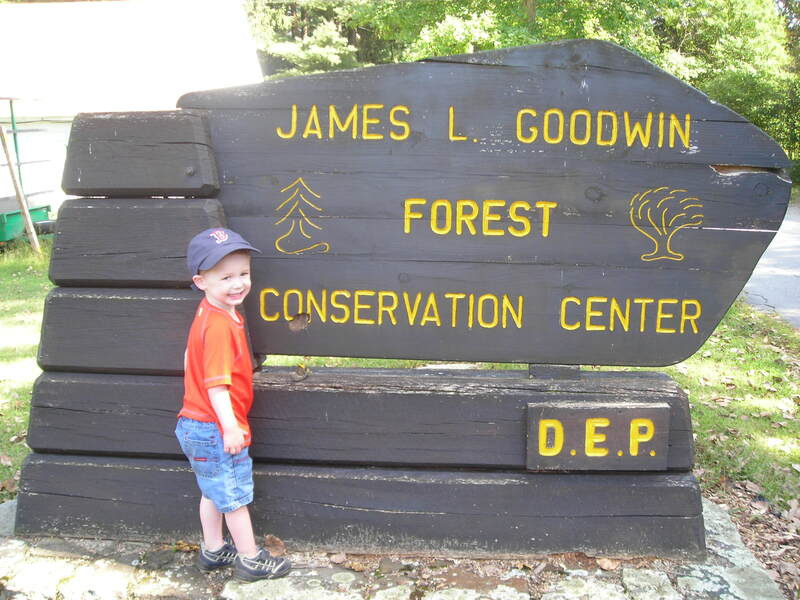 The Goodwin Conservation Center and James L. Goodwin State Forest were gifts to the people of Connecticut from James L. Goodwin, one of America’s first professional foresters and a long-time CFPA Board Member. The James L. Goodwin State Forest is managed by the CT DEEP Division of Forestry. To learn more about Goodwin, and see some beautiful images of the property, check out this video narrated by Goodwin's naturalist, Jasper Sha. 2,000 acres of managed forest and wildlife habitats, with 17 miles of some of the best maintained hiking, cross country skiing, and equestrian trails anywhere in New England. Trail kiosks, comprehensive signage and self-guided brochures make the trails extremely user-friendly. The Haley Native Plant Wildlife Gardens—1.5 acres of beautifully landscaped gardens built with dozens of labeled, eastern North American plants that benefit wildlife as food and/or cover. Three large ponds, where great fishing, bird watching, and non-motorized boating await. The Goodwin Conservation Center, including video and photographic displays of 100 years of forestry history at Pine Acres Farm/Goodwin Forest. The Center also offers regular year-round educational and interpretive programs, which are posted on the CFPA events calendar. The Goodwin Nature Museum, with numerous mounted wildlife specimens, native wood displays, and more. A youth group camping area with a 20 x 40 foot dining pavilion, 16 x 20 foot pole building, and plenty of tent room. A picnic pavilion that seats 50 people overlooking Pine Acres Pond. Trails Day is the best time of year to visit Goodwin Conservation Center! There are many exciting events being offered for all ages and interests. The Friends of Goodwin Forest (FGF) is a volunteer-based organization, working in cooperation with center staff and through the fiscal sponsorship of CFPA . The Center maintains an email distribution list for announcements of educational programs and other information. The Center is located off of Route 6 at 23 Potter Road in Hampton, CT.